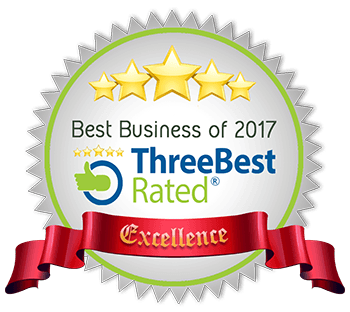 We’re proud to have been listed on the review site; Three Best Rated, as one of the 3 top storage facilities in Peterborough Ontario. Below is the criteria for being selected. We work hard everyday to provide the best facility and most helpful staff in town. It’s great to be recognized for our efforts. Thank you everyone for helping us accomplish this goal. Congratulations! You are now listed as one of the Top 3 Storage units in Peterborough, ON. We would like to Thank You for providing consistent high quality in your area of business. Our review team either approved or updated your business listing using our 50-Point Inspection which includes everything from checking reputation, history, complaints, ratings, satisfaction, trust and cost to the general excellence. That’s not all… Businesses do not pay us to list them ever. You do not pay us for the listing any time. We believe that local businesses provide better and personal services locally. Local businesses know your city better since they live there too. Our policy is free to list because if you can pay to list, then is it really the best business? Thanks to everyone who came out to the 2016 Storage Wars for Habitat for Humanity at GPL Self Storage. It was a little rainy but we still had a good time and raised over $7,000 for this great cause that contributes so much to our community. Congrats to Robert Smith who was the lucky winner of our Prize Locker draw during Saturday’s Storage Wars For Habitat event. Enjoy your loot, Robert! Thanks to all our great sponsors. We can’t do it without you! Please join us and help support this important cause for our community! Habitat for Humanity builds simple, decent and affordable homes for low-income families with each family participating in the build process. Last year’s event raised over $50,000. We’d love to top that with your help! All proceeds go to help build safe and affordable homes for local families. Tickets are $5 per person and includes a chance to win the contents of a storage locker valued at $2000. 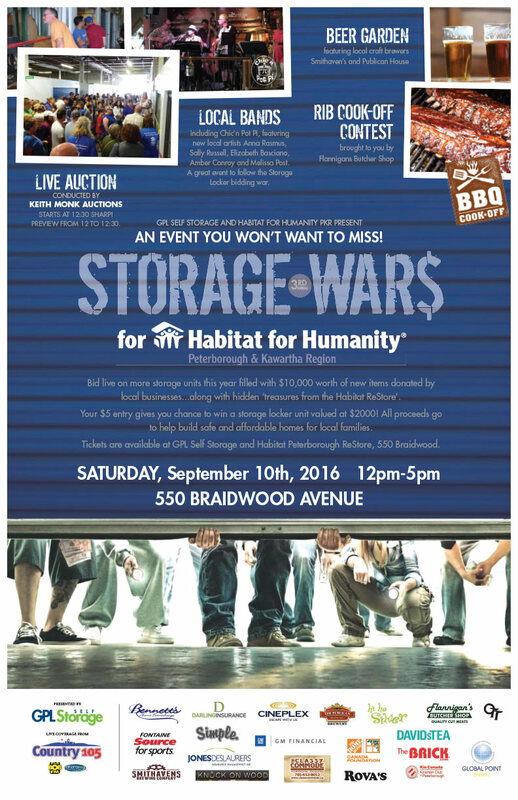 Tickets are available at GPL Self Storage & Habitat Peterborough ReStore, 550 Braidwood Ave. Please note that portions of this exciting fundraiser will take place inside our storage facility, and as a result there will be changes to our regular operating hours for that day. We apologize for any inconvenience this may cause, however your storage units will only be accessible during the hours of 9am to 12pm on Saturday, September 10th.